Striking, boldly intricate circular designs ensure that this stunning chandelier stands out. 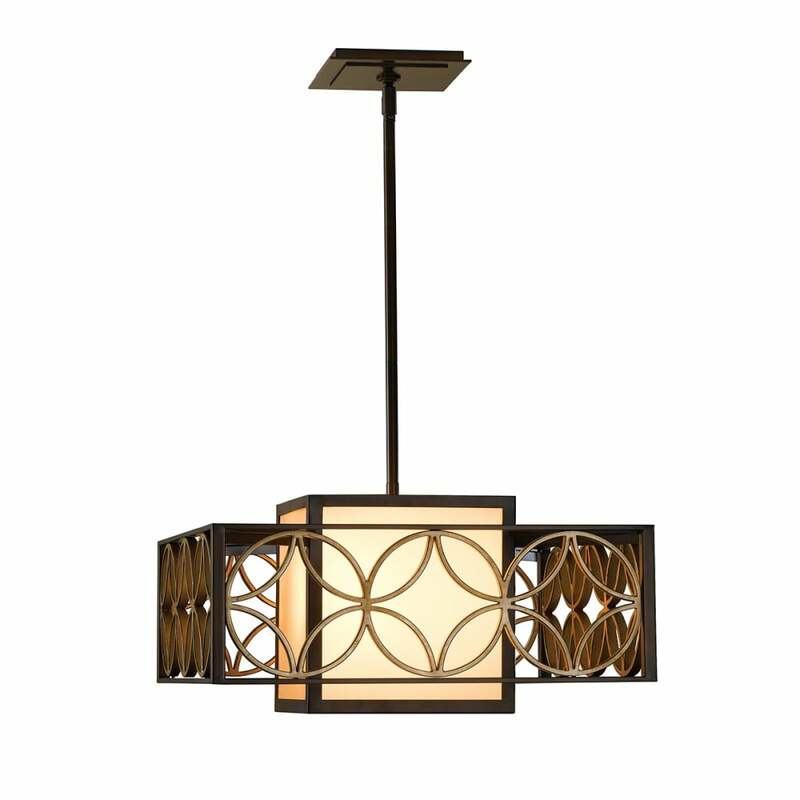 Influenced by French Arts and Crafts, the concentric rectangular silhouettes in warm finishes of Heritage Bronze and Parisienne Gold enchant and catch the eye beautifully in any setting. A Bronze Organza shade gently diffuses the light for a warm, welcoming glow. Matches the Remy Island Chandelier and the pair would look fabulous together in a transitional setting.